New York - "I had always known that a secular career was not what I wanted. 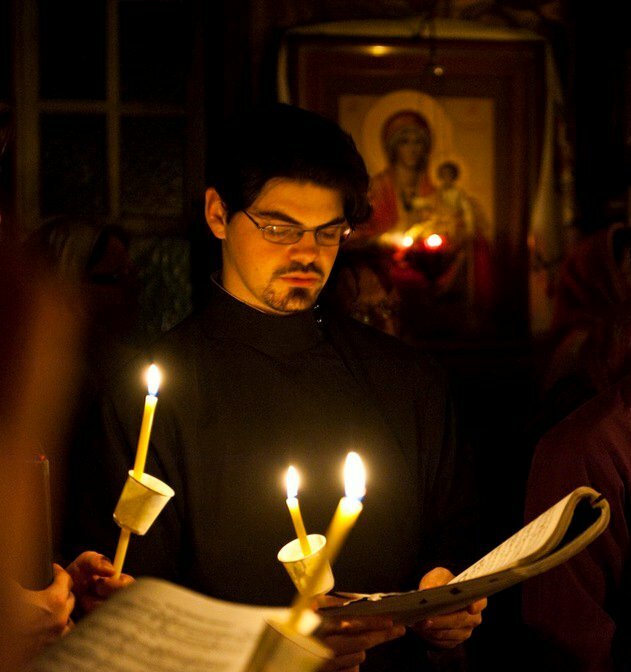 Although I enjoyed my studies, my main interest was always the Church: the services, the Church’s history, Holy Scripture, church music, Church-Slavonic, etc. I always planned to serve the Church in some capacity when I grew up. Taking my father’s advice, I enrolled at Holy Trinity Seminary in Jordanville when I was 17. There I continued my study of Russian and familiarized myself with Dogmatic Theology, History, Pastoral Theology, Patrology, and much more. I also met many wonderful people there, with whom I hope to remain in touch for the rest of my life, even if service to the Church takes us far apart. Although the seminary’s tuition is fairly inexpensive – especially compared to that of other universities – it was still beyond my means. The monastery is situated in a very small town, where it is hard to find work; and besides that, the seminarians are expected to take part in the life of the monastery, which is very full; so it is practically impossible to work a secular job and study at the same time. There were times when I wondered whether I would be able to continue my studies. Glory to God, I and several other seminarians received help from the FFA. I graduated this year free of debt, which allowed me to save money for my wedding in July. Today my wife and I live in Pennsylvania, where I serve at as small parish as a reader and occasionally as choir director. I would like to thank the FFA with all my heart for their help to me during my seminary studies.